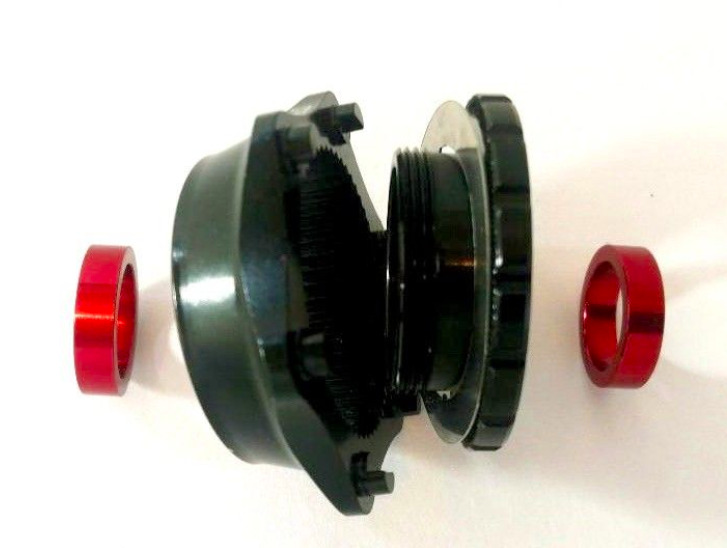 Use standard axle/hub spaced centrelock / splined hub wheels in a boost frame / fork with these adaptors. The wheel is then mounted and secured with your boost axle. Converts Shimano / DT Swiss centrelock hub wheels for boost frames/forks. Not suitable for standard (non centrelock hubs) - we have adaptors for standard hubs on another listing. Front includes: 2 x 5mm RED spacers, centrelock adapter for 6 bolt brake disc rotor - has front +5mm spacing. Rear includes: 2 x 3mm RED spacers, centrelock adapter for 6 bolt brake disc - has rear +3mm spacing. 1. 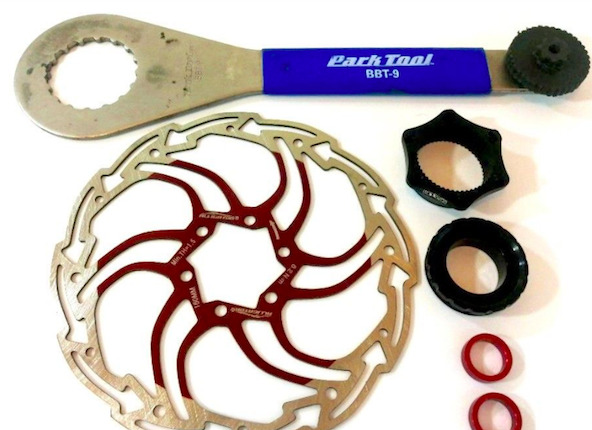 Note: You will need a standard 6 hole rotor (we sell great lightweight ones) & a Shimano hollowtech II tool (Park tool number: BBT-9) or C Spanner - see photo. 4. Fit your wheel as per normal. Periodically check to make sure the adaptor/disc is tight.